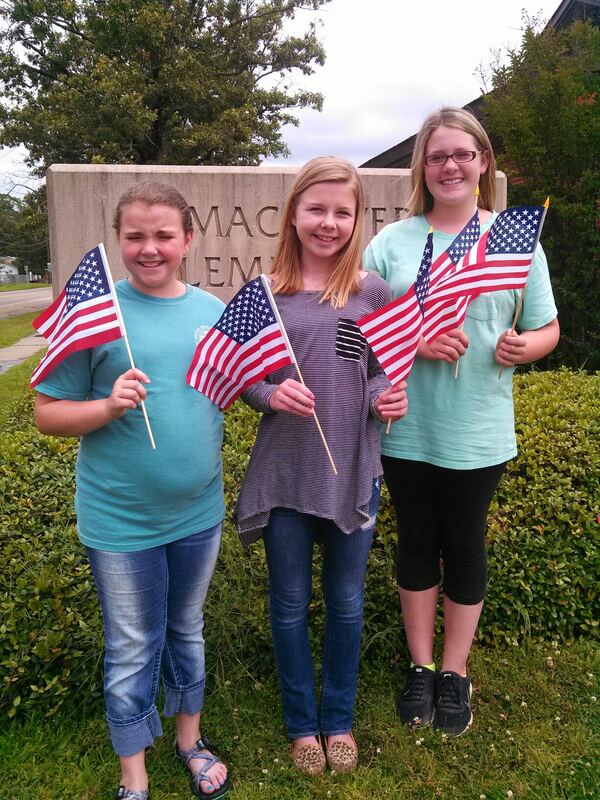 Smackover Elementary School student council officers put out flags at Smackover Cemetary for Memorial Day. Student council officers participating were Gracie Muckelrath, Rylee Darden, and Kalin Key. Posted in Buckaroo News on May 31, 2015 by The Buckaroo Blog. Posted in Buckaroo News on May 30, 2015 by The Buckaroo Blog. Preston and the JJ Weeks Band will be performing a FREE concert on Saturday, May 30, at the Buckaroo Stadium beginning at 7 pm. The concert will be followed with a HUGE fireworks show. In case of inclement weather, the concert will be moved to the auditorium. Posted in Buckaroo Community on May 29, 2015 by The Buckaroo Blog. The Football Team Camp scheduled for tonight at Harmony Grove has been cancelled. Summer workouts will begin at 7 am Monday morning at Smackover High School for Senior High and at 9 am in Norphlet for Junior High. 7th Grade will begin workouts on July 6th at Norphlet at 9 am. Posted in Buckaroo News on May 29, 2015 by The Buckaroo Blog. It has been our pleasure to serve the children in the Smackover-Norphlet School District during the 2014-2015 school year! This summer will be a busy summer for our faculty and staff as we prepare for the upcoming 2015-2016 school year. Exciting times are certainly ahead as we begin implementing our reorganization plans! If you are looking to stay up-to-date on school related information this summer, then we would encourage you to follow The Buckaroo Blog this summer. We will continue posting throughout the summer to keep you informed of the latest and greatest information regarding the District. Posted in Buckaroo News on May 28, 2015 by The Buckaroo Blog. Congratulations to the Smackover-Norphlet School District on being selected as a recipient of the 2015-2016 School-Based Health Center Initiative Grant. The five-year grant provides funding each year for the District to create a School-Based Health Center. As part of the grant, the old home economics building on the Smackover campus will be renovated into a School-Based Health Center over the summer. Be on the lookout at the beginning of the school year for ways in which students, parents, and community members can utilize the Smackover-Norphlet School District’s School-Based Health Center! Posted in Buckaroo News on May 27, 2015 by The Buckaroo Blog.